For animal lovers of all ages! 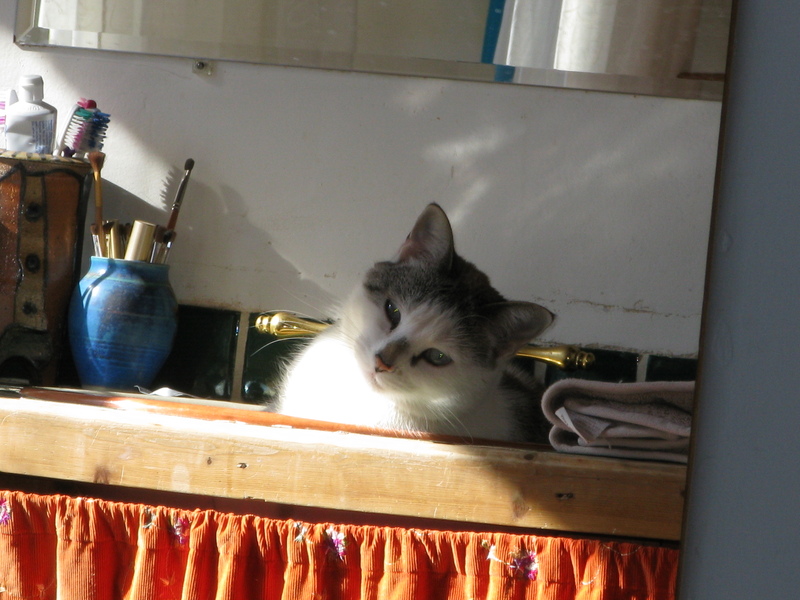 One day I found Wiyaka’ska seemingly relaxed while sunning himself basking in the bathroom sink of our Santa Fe earthly hovel. The sun poured in from the large picture window as I sat in the living room. Looking up from my computer where I was writing, I saw a roll of toilet paper sitting on the floor. Curiously I waited for what was to come. 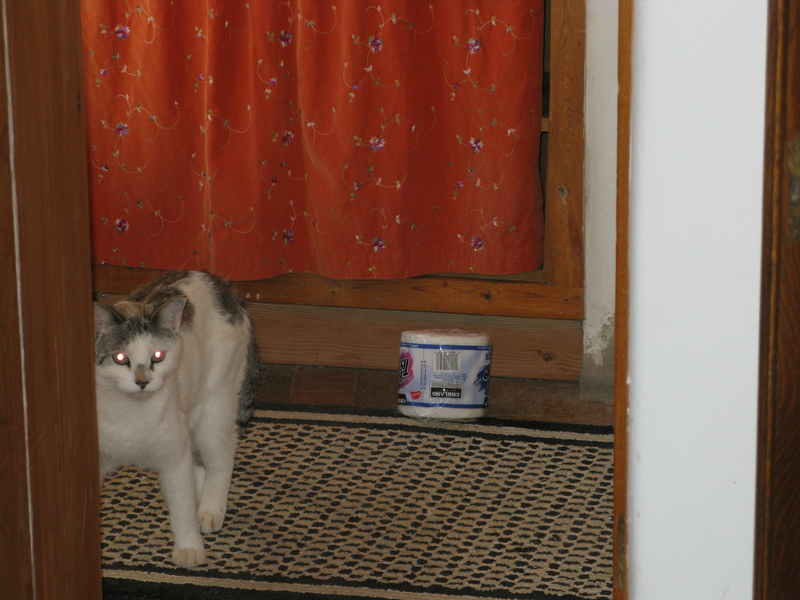 The first indications appeared; for I was about to be thoroughly entertained for almost an hour by my evanish cat, Wiyaka’ska. Lakota name for White Feather. My camera being in an arms’ reach. I positioned the lens to capture a few memories. Relishing what might had been forgotten moments, all saved for later in momentary pictorials. Now spinning into a delightful yarn to entertain others. 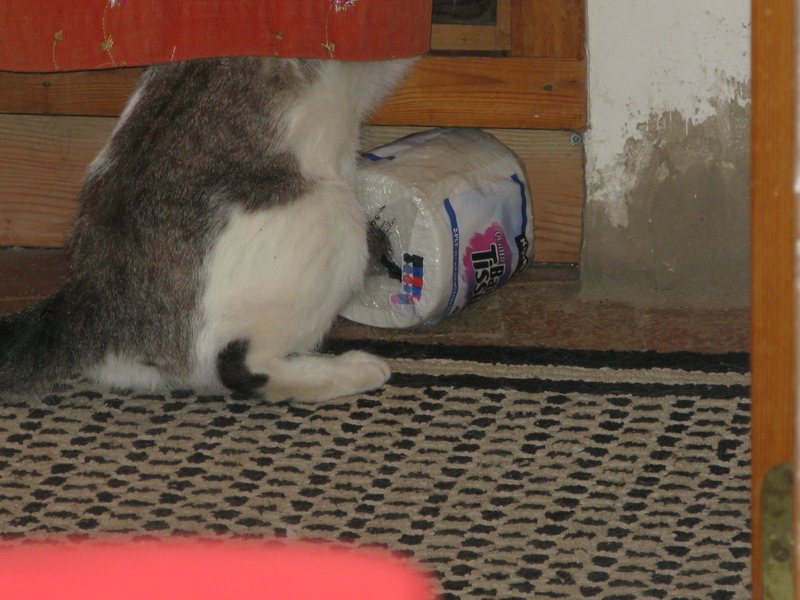 My playful whimsical Wiya found a different kind of mouse, a white toilet paper roll hidden out of sight. 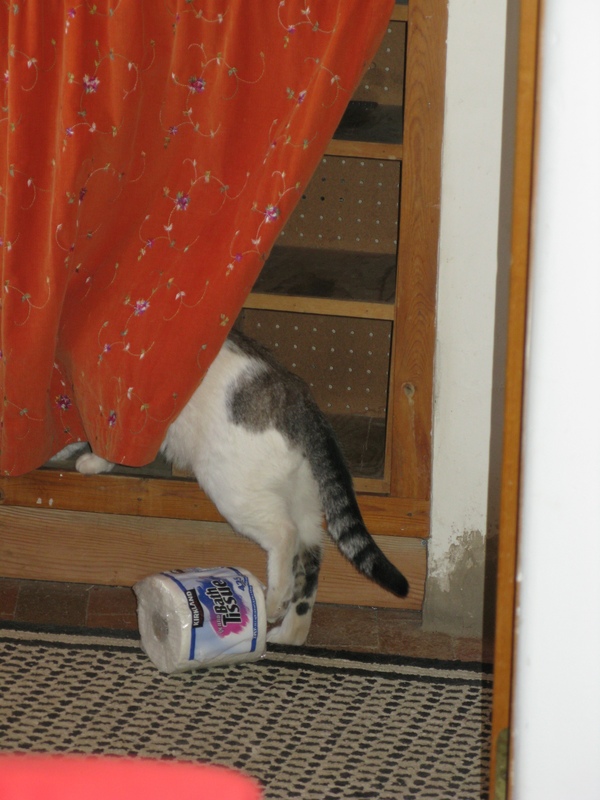 Slowly a white paw came from behind the curtain. With a slight tap on the plastic it rolled. 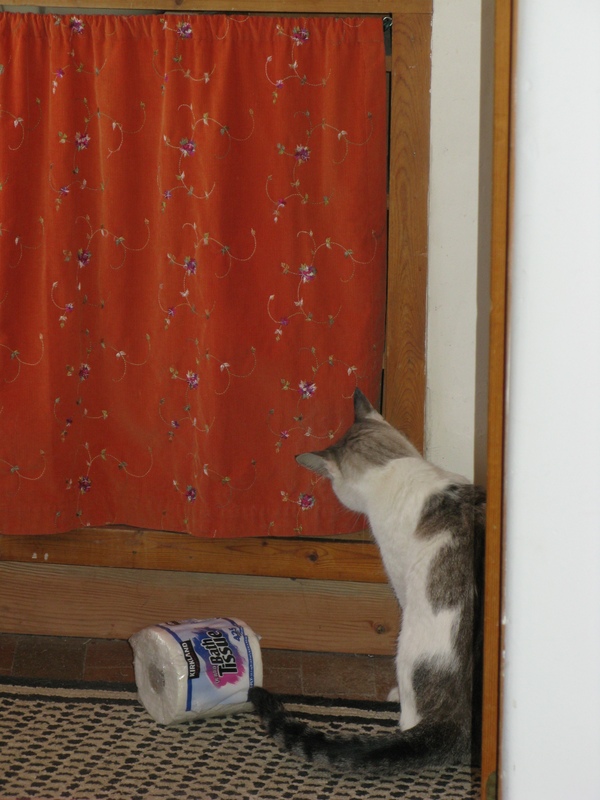 The white paper moved a teensy bit forward, amusing Wiya, tempting him to play while hidden behind a short orange flower cloth. From one side to a turn the toilet paper moved, backwards -forward and then to the edge. Suddenly the white furry leg once again disappear. 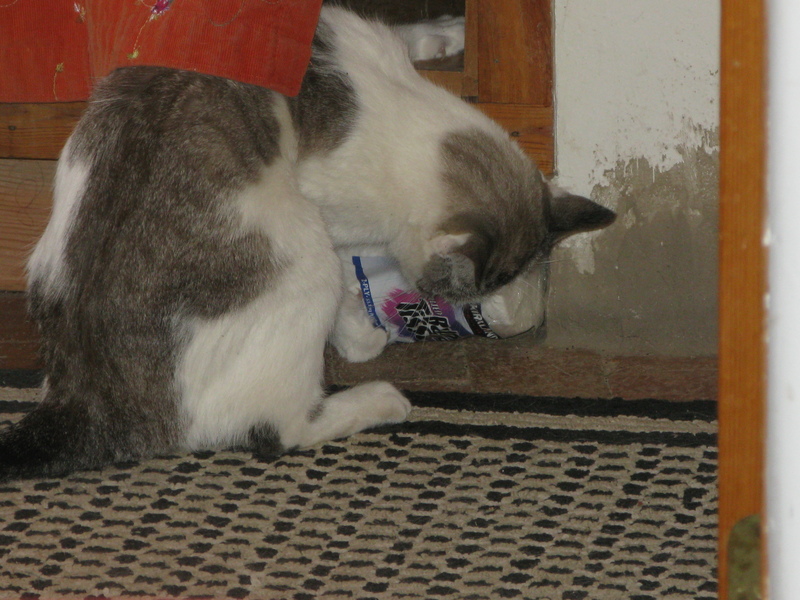 With one sudden pounce Wiyaka’ska was onto the floor while his head still hidden under a cupboard shawl. Waiting for a slight movement then pounced once again, the white paper rolled forward and then. 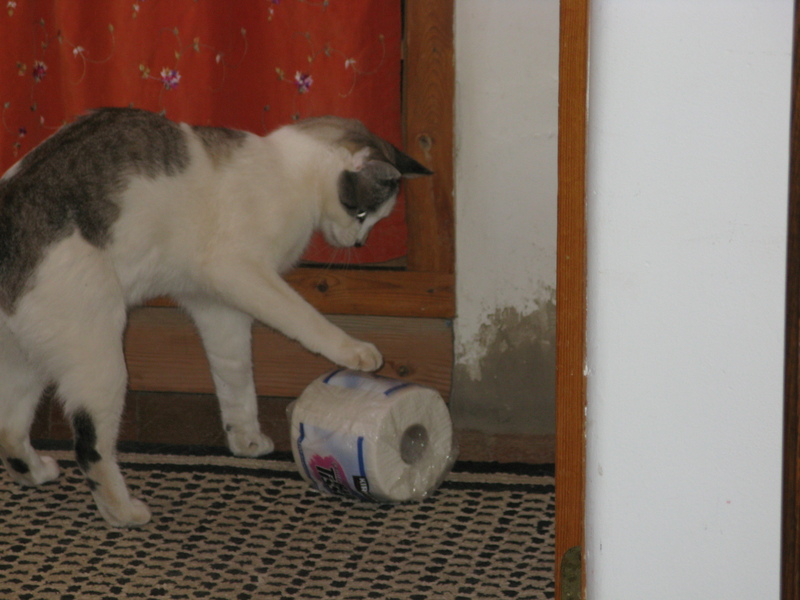 Wiya began to roll the white paper to and fro, his new toy was not the usual furry ball. 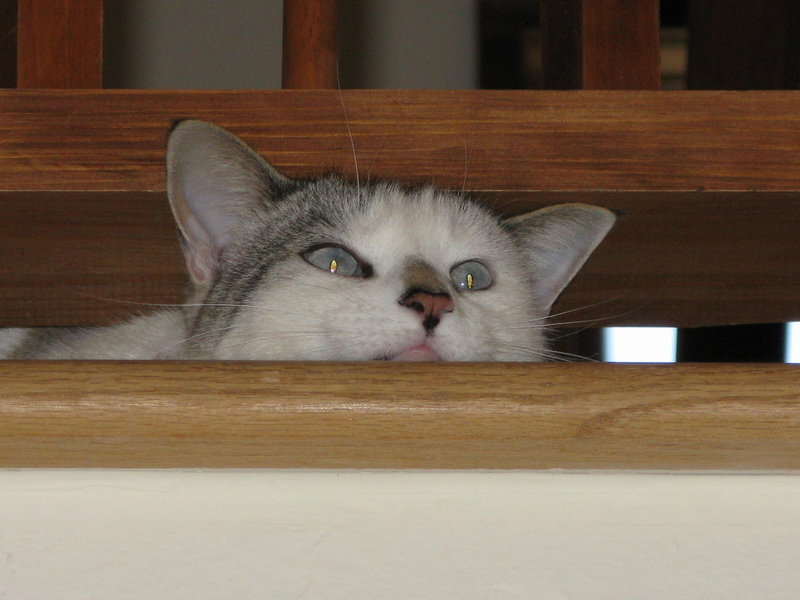 Wiya climbed further out to investigate…..
Another few careful taps to see if it might escape. Then time to watch and study. 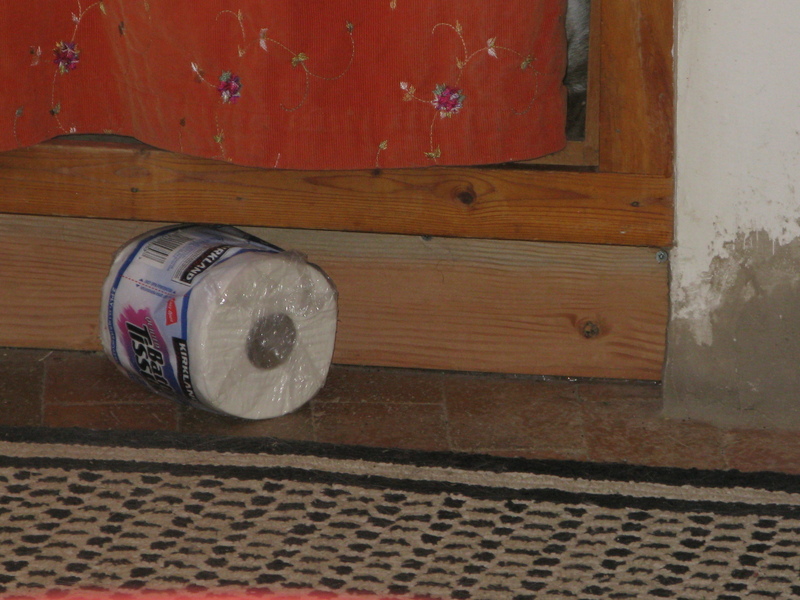 Would the toilet paper resist, or move on its own? Or would it attack in return from being disturbed from its carefully laid stack? Time to retreat Wiya said to himself. Going back under the orange cover to wait, watch and see. The white paper might come alive. He waited and waited as Wiya sat hidden. Quietly patiently in anticipation. Nothing! How could this be? Out came Wiya in full pouncing attack. 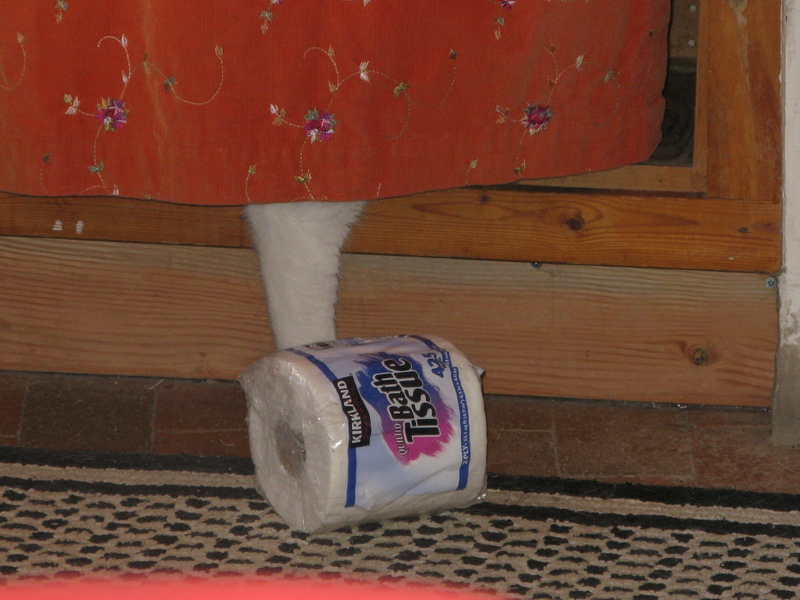 Grabbing the toilet paper up in his paws. It must do more than just sit, lifting the paper up and then, once again attacking the pack. Finally Wiyaka’ska turned with a surprise in his eyes. I was watching and giggling from the other side. As Wiya walked away, once looking back. 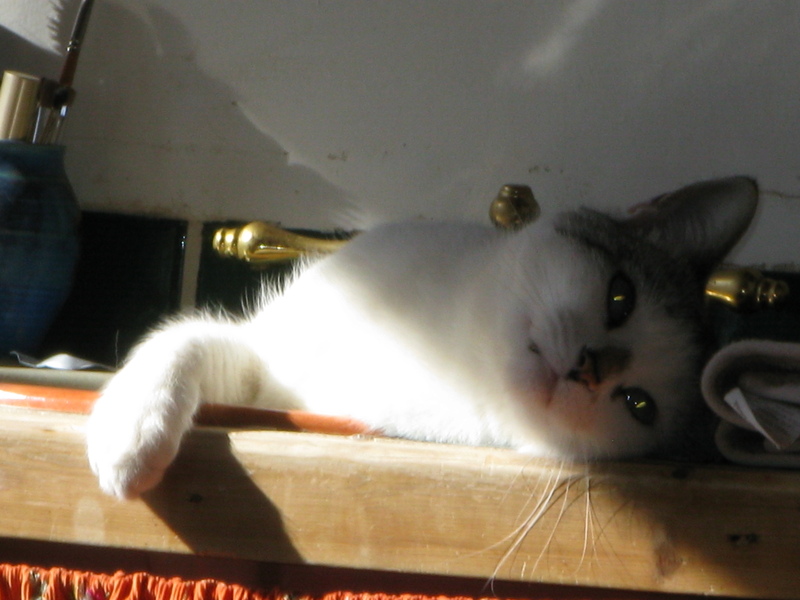 Back to his original quiet solitude in the warmth of the sun. 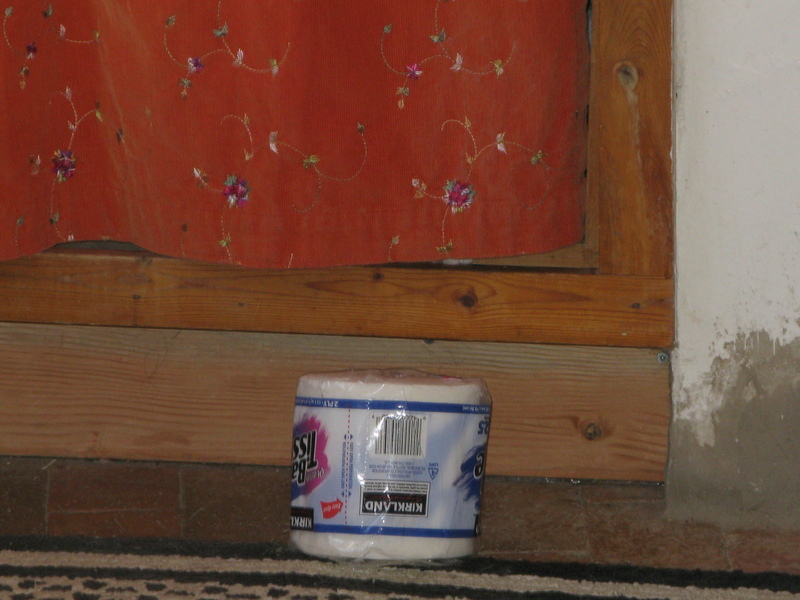 Sitting, after such hard work lifting white toilet paper around, I must rest on my back. Time to return to the warmth of my sink. My work is done for this day. Tilting his head flirtatiously and a twinkle in his eyes. Back to his quiet afternoon slumber in warmth of the sun. 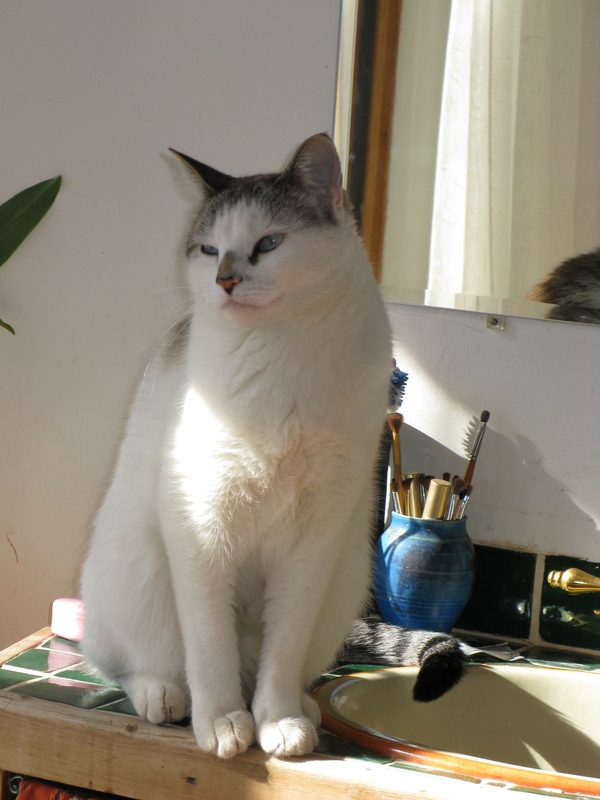 Your antics of play, your flirtatious smile, the touch of your soft paw all will be missed. Nevertheless, I have many wondrous memories to remind me of such loving bliss.